The value of your brand is the cornerstone of your business. It is a distinguishing factor for your customers, but it can also help attract prospects. This is why it is important that you develop a strategy around your brand, also online. Domain names play a crucial role in this strategy, because they constitute the first contact with your brand on the Web. With more than 500 domain extensions from all over the world, it is not always easy to keep a clear overview of the domain names that may be interesting (or not) for your company or brand. Therefore, it is essential to reflect seriously on a domain name strategy and, most of all, to make sure your brand will not easily fall victim to Internet abuse. Domain names containing a brand name are often registered by malicious organisations whose aim is to make profit (illegally) at the expense of your company. These organisations may e.g. upload a website containing advertisements or sell the domain name at an astronomical price. Or worse, they could upload a copy of your website with the intention of stealing the visitors’ personal or credit card information. These are very awkward situations that you should avoid at all costs. Also, should you ever want to redeem a domain name containing your brand name at a later stage, keep in mind that this often costs much more than the normal registration price. The best you can do is register your brand proactively in the markets in which you are operating. 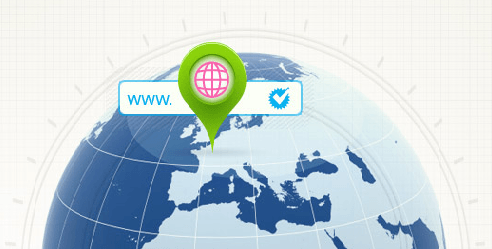 As a matter of fact, a domain name with a local extension will inspire more confidence to your potential customers. But what other generic extensions (such as .asia, .biz...) could be beneficial to you? To answer this question, you will need to find a trusted partner who can help you with specific advice and spot potential opportunities for you. By the end of 2013, the first new extensions (such as .gent, .vlaanderen or .brussels) will also be launched, as well as numerous international extensions. And once again, Combell (that will actually be in charge of managing the .gent extension) will be at the front row of the international market. Combell takes care of the registration and management of your domain names. It all begins with the request: what is needed to register a domain name? Combell experts will assist you with every step of the request process. For some extensions, you will need to have a local address in the country of origin, and even in this context, Combell will still be able to help you. Also, for most extensions, Combell is either directly affiliated with the managing authority concerned, or we collaborate with the most reliable providers on the market. You can manage your domain name via a single central control panel: My Combell. What is more, it is not necessary to allow your collaborators to access all domain names when they need to make changes, for instance, to a specific domain name. In fact, My Combell makes it possible to create sub-users who can only manage one domain name. This way, you can also avoid possible in-house risks. Do not wait any longer and discuss your domain name strategy with us. For further information, please call our sales department (free of charge and without any obligation) on 0800-8-567890. For the registration of multiple domain names interesting package deals can be discussed.